Russia has begun delivery of Tor-M1 air defense missile systems to Iran, a Defense Ministry official said Friday, confirming that Moscow would proceed with arms deals with Tehran in spite of Western criticism. Ministry officials have previously said Moscow would supply 29 of the sophisticated missile systems to Iran under a US$700 million (€565 million) contract signed in December, according to Russian media reports. The UN Security Council, where Russia is a veto-wielding permanent member, is currently stalemated on the severity of sanctions on Iran for defying its demand to cease uranium enrichment. The Tor-M1 deal, involving conventional weapons, does not violate any international agreements. Russian officials say that the missiles are purely defensive weapons with a limited range. 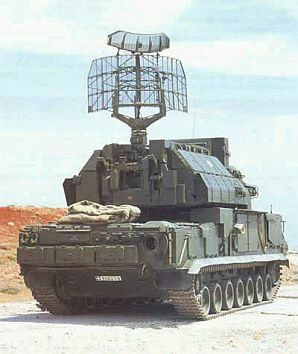 According to the Interfax news agency, the Tor-M1 system can identify up to 48 targets and fire at two targets simultaneously at a height of up to 6,000 meters (20,000 feet).